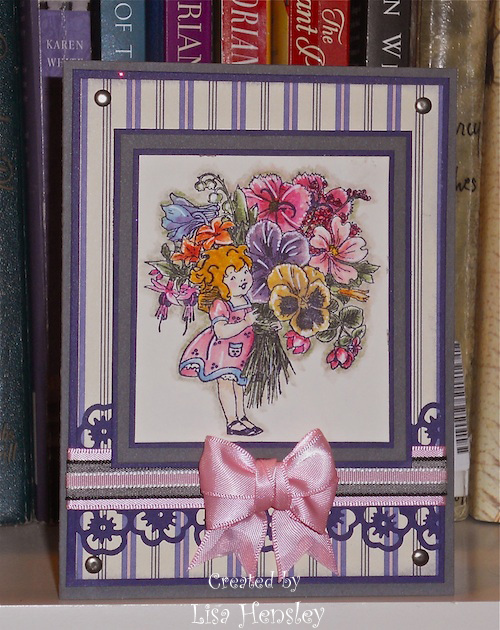 The Shabby Stamper: Wishing you bouquets of joy! 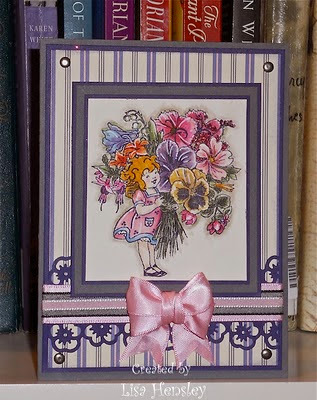 I love this little retro girl and her huge bouquet! I think that the next time that I work with this image, I'm going to have to cut out that big, yellow pansy and pop it up. I've never done much with the new Basic Gray cs, but I think that I like it in this instance. It seems to ground the bright, colorful bouquet. Ooooh Lisa -- this is so beautiful. Your coloring is absolutely awesome (as usual), and the addition of the white gel pen to highlight was brillant. Love it. This is gorgeous Lisa, are those flowers at the bottom a punch? Yes, Vicki -- it's a MS punch. Stunning! 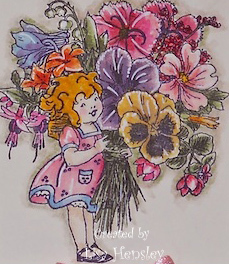 Those flowers are exquisite - wonderful coloring.